Meet the team at Wentworth Property Company. Wentworth Property Company’s leadership includes, Founding Principals James N Wentworth and James R. Wentworth, Principal Tim Chester, and Chief Financial Officer Kevin Allen. Together with their senior team of real estate, development, construction and acquisition specialists, they possess the skills for taking on all types of real estate transactions. The Wentworth Property Company team is built around knowledge, expertise and the passion for executing deals and seeing great projects develop. We ensure a high pride of ownership in everything we do. From site selection, acquisitions, entitlements, design and construction to property management, finance, accounting, leasing and disposition, Wentworth Property Company has the expert staff to ensure every project is in trusted hands. Mr. Allen is the Chief Financial Officer at Wentworth Property Company and is responsible for all financial, accounting, tax and treasury activities of the company. Mr. Allen has over 20 years of real estate industry experience and prior to joining Wentworth Property Company, Mr. Allen served as a Chief Financial Officer for Discovery Land Company, a luxury residential private club developer, overseeing projects in Mexico, Hawaii and throughout North America. Mr. Allen was also Chief Financial Officer for Frank Residential, a multi-family and single family home builder located in Phoenix, AZ as well as Controller / Asst. Controller for Opus West Corporation as well as SunCor Development Company, both located in Phoenix, AZ. Mr. Allen attended Purdue University and received his B.S. in Accountancy from Radford University. He is a licensed CPA in the State of Arizona and member of Arizona Society of CPA’s. Mr. Brown is the Director of Self Storage for Wentworth Property Company, focusing on development & Acquisitions. Before joining Wentworth, Mr. Brown worked for a local Phoenix developer as the Senior Investment Manager and was directly responsible for the development of multiple climate controlled self-storage properties. Prior to specializing in self-storage, he spent 7 years in Philadelphia working for a commercial real estate developer who specialized in the adaptive re-use of historic properties. Mr. Brucker is the Director of Asset Management for Wentworth Property Company and brings 12 years of commercial restate experience to the company. With a primary focus on leasing across the office portfolio, Matt is also involved in the design & entitlement process, construction management and property management oversight. Before joining WPC, Mr. Brucker was a Project Director for First Advantage Corporation (NADAQ:FADV), a division of First American Corporation (NYSE: FAF), where he represented numerous Fortune 500 companies. Prior to FADV, he spent time with KPMG specializing in real and personal property tax. Mr. Brucker holds a BS degree from the University of Arizona and is a licensed Arizona real estate sales person. He is also a member of the National Association of Industrial and Office Properties (NAIOP) and active in Habitat for Humanity International. Ms. Bryce is an Assistant Property Manager for Wentworth Property Company, LLC. Ms. Bryce coordinates with Property Manager Meg Martin to manage over 630,000 sf of commercial properties in North Scottsdale. Her responsibilities include tenant management and directing and supervising activities of building staff and vendors in accordance with policies and procedures of the properties. Ms. Bryce is a licensed Arizona real estate salesperson. She is a member of The Building Owners and Managers Association (BOMA). Ms Bryce holds a BS degree from Arizona State University and an MA degree from the University of Connecticut. Mr. Dickson is a senior associate for Wentworth Property Company, LLC. focusing on financial analysis, due diligence, entitlements, leasing, and design coordination. Prior to joining Wentworth, Mr. Dickson worked for 3CDC, a Cincinnati development company specializing in multi-family and mixed use developments in downtown Cincinnati. Mr. Dickson holds a BS degree in Finance from the University of Arizona in addition to a Master of Architecture and MBA from the University of Cincinnati. He is also a member of NAIOP and Executive Council Charities. Kathi Enger is originally from Southern California. She has 11 years of property management accounting experience and is currently responsible for accounts payables here at Wentworth Property Company, LLC. Mr. Hanson joined the Wentworth Team in 2015. He graduated from the W.P. Carey School of Business at Arizona State University with a Bachelor of Science in Business Management. Prior to joining Wentworth, Mr. Hanson worked as a Project Manager for Comprehensive Risk Services managing multiple tenant improvements at once. His passion for construction management brought him to Wentworth where he currently manages the construction of ground-up, tenant improvement, and self-storage projects. Sheryl Hays has over 20 years’ experience in Commercial Property Management including Class A office, mixed-use, and retail environments working with a variety of institutional, public and private ownership structures. She joined Wentworth in 2014 to establish and build the company’s Property Management division. Her efforts over the last your years have built the group into a well-respected, award-winning team that was honored with the 2017 Outstanding Building of the Year award by the BOMA chapter of Greater Phoenix. Prior to joining Wentworth, Sheryl oversaw the management of Camelback Esplanade, one of Phoenix’s most iconic mixed-use developments for Cushman & Wakefield. Ms. Hays earned her Real Property Administrator (RPA®) designation from the Building Owners and Managers Institute in 2004 and is a licensed real estate broker and the Designated Broker for Wentworth. She has been an active member of BOMA Greater Phoenix and was on the Executive Committee and Secretary Treasurer in 2011 and 2012. She graduated from the University of Arizona with her BS degree in Business Administration. Mr. King is the Managing Director of Self-Storage for Wentworth Property Company, LLC. focusing on all things related to self-storage. This includes the acquisition of existing facilities, ground up development, conversions and joint ventures. Mr. King has over 12 years experience in the self-storage industry. He joined WPC in 2015 to help drive the company’s desire to grow into self-storage. 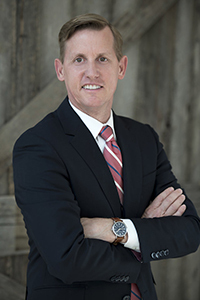 Before joining WPC, Mr. King was the Vice President of Business Development at Westport Properties, Inc., a self-storage owner operator out of Irvine, CA. His overall background has been in sales and business development with a proven track record of generating a variety of new partnerships. These partnerships have assisted in the closing of multiple transactions in various states across the country. Mr. King is an Arizona Native and lives in Phoenix with his wife and two children. Mr. King attended the University of Arizona, serves as the President of the Arizona Self Storage Association and is a Life Member of Executive Council Charities, a non-profit corporation dedicated to providing grants to other non-profit groups that focus on helping the youth of Arizona reach their full potential as productive, caring and responsible citizens. In his spare time, Mr. King enjoys playing golf, fly fishing, traveling and spending time with family and friends. Jared Langenhuizen joined Wentworth in 2013. 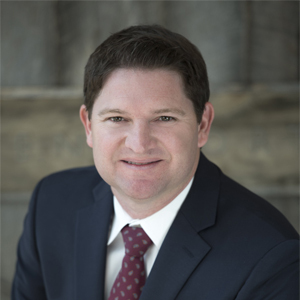 Mr. Langenhuizen is a native to Arizona and received a Bachelor of Science in Construction from the Del E. Webb School of Construction at Arizona State University as well as a Master of Real Estate Development from the W.P. School of Business at Arizona State University. Currently, he oversees all phases of real estate development and construction for Wentworth. He is the primary contact and construction manager of all real estate development projects from conception to completion, including shell development, conversions, and tenant improvements. Mr. Langenhuizen coordinates and directs the project design team, manages municipal and governmental approvals, and oversees construction costs, schedule, and quality. His focus at Wentworth is on industrial, commercial, and self-storage construction and development. Mr. Langenhuizen is also an active member of the Executive Council Charities. Meg Martin started with Wentworth Property Company in 2016 as a Property Manager for onsite management of the newest portfolio in North Scottsdale. Meg works closely with the property and construction teams, managing the daily operations of the properties and coordinating tenant relations for large construction projects. She negotiates vendor contracts in line with the business plan and ownership strategy for the property, responds to tenant inquiries and issues, and oversees that the operations are executed for the preventative and corrective maintenance needed. Meg has previously been involved in the Phoenix BOMA Chapter holding board and leadership positions and is currently involved with the Phoenix IREM Chapter and AZCREW Local Chapter. She has a B.A. from Le Moyne College and holds an Arizona Real Estate License. Mr. Maus joined Wentworth Property Company in September of 2017. His focus is on the origination of new opportunities for the self-storage team. This includes the acquisition of existing facilities, ground up development, conversions, and joint ventures. 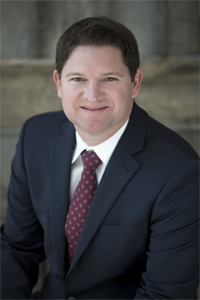 Prior to joining Wentworth, Mr. Maus was an Assistant Vice President at The Retail Connection in Dallas, TX, a full service real estate brokerage, investment, and development firm focusing solely on retail assets and tenants. In his 4 years at The Retail Connection, Mr. Maus was a two-time recipient of a top producer award within the company. 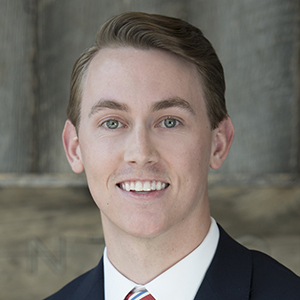 Mr. Maus holds a BA in Economics from The University of Texas at Austin and is a licensed real estate salesperson in Arizona and Texas. He is a member of the Self-Storage Association’s Young Leaders Group as well as multiple state level self-storage associations. 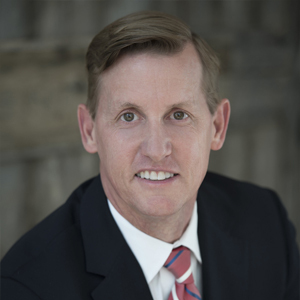 Mr. Maus sits on the Board of Directors for Folds of Honor Arizona, an organization founded on providing educational scholarships to spouses and children of America’s fallen and disabled service members. 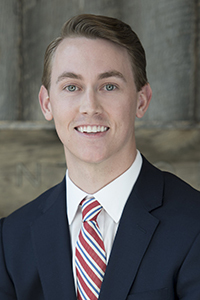 Jake Nolte is an associate for Wentworth Property Company, focusing primarily on the financial analysis of self-storage development and acquisitions. Prior to joining Wentworth, Mr. Nolte worked for PricewaterhouseCoopers, where he worked closely with an array of companies both privately held and publicly traded. Mr. Nolte holds B.S. degrees in Economics and Accounting in addition to a Master of Accountancy from the University of Arkansas. He is a licensed CPA in the State of Texas. Colleen Quinn joined Wentworth Property Company, LLC, in 2016 as the Controller, overseeing the preparation of financial statements, reporting and daily accounting and tax operations for the firm’s entire office, industrial, retail and self-storage portfolio. Prior to joining the company, Ms. Quinn was an Assurance Manager at RSM US LLP (formerly McGladrey LLP) in the National Real Estate Group and brings over a decade of industry experience to the company. Ms. Quinn holds a Bachelor of Arts degree in Accounting from Illinois Wesleyan University. She is a licensed Certified Public Accountant in the State of Arizona and the State of Illinois. Amy Roberts joined Wentworth Property Company in 2015 as an Assistant Property Manager handling day to day administration of tenants, vendors, and coordination of building operations. Ms. Roberts also supports management in reporting and budget preparation. Her years of experience in Association Management provided a natural transition to the commercial sector and she is repeatedly recognized by tenants for her service minded focus. Amy holds an Arizona Real Estate Salesperson license and is a member of the Building Owners and Managers Association. Jimmy Wentworth is a Senior Associate at Wentworth Property Company, focusing on self-storage development & acquisitions. Prior to joining WPC, Mr. Wentworth spent more than 2 years as an Analyst at Crow Holdings Capital Partners in Dallas, TX. In this capacity, Mr. Wentworth was responsible for underwriting over $4.5 billion in real estate transactions. Mr. Wentworth holds a BA degree in Economics from Boston College. Over 40 years of successful property development.